Anti-pollution cosmetics, a well-established trend in Asia Pacific due to the region’s dangerously high levels of air pollution, is now going global, with Western consumers looking for cosmetics with benefits that not only fight the signs of aging but also protect against environmental threats. Growing middle class expansion in the East and rising urban pollution awareness in the West will shape the purchasing patterns of antipollution products over the coming years. This translates into big worldwide opportunities for leading cosmetic brands and ingredients manufacturers. Urban pollution—especially particulate matter with sizes of about 2.5 microns (PM2.5) and 10 microns (PM10)—seems to be one of the main threats to skin health. These fine particles are coated with polyaromatic hydrocarbons (PAHs), heavy metals and other contaminants, which, in contact with the skin and hair, are capable of penetrating deeper layers, inducing collagen and elastin breakdown and the release of free radicals. Pollutants can cause cellular damage, dryness, inflammation and pigmentation, which are strong signs of premature skin aging. In fact, research conducted by L'Oréal pointed out the link between atmospheric pollution and premature skin aging, especially in people with sensitive skin (www.loreal.com). According to the study, people living in very populous cities have lower levels of vitamin E and squalene in sebum compared to those living in rural areas. Cities in Asia Pacific, such as Shanghai and Beijing in China, New Delhi and Bangalore in India, and Karachi in Pakistan, are on the list of the most polluted cities in the world. 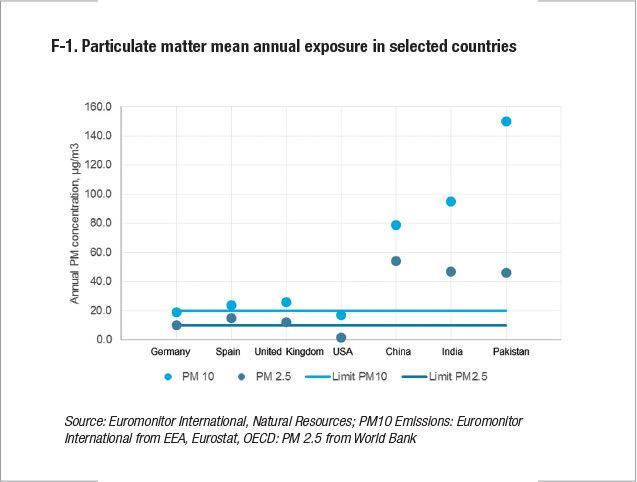 According to the World Health Organization, over 99% of the urban population in China, India and Pakistan are regularly exposed to particulate matter with sizes of about 2.5 microns (PM2.5) at concentrations higher than those recommended. 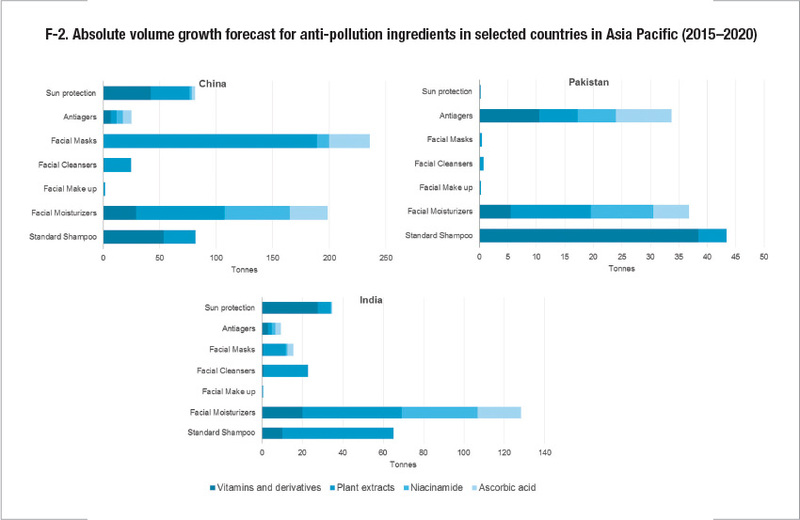 It’s no surprise that China offers the greatest opportunities for antipollution ingredients in Asia Pacific, followed by India and Pakistan. Plant extracts and vitamins are the ingredients with the greatest growth potential, but demand for other antioxidant ingredients, such as niacinamide and ascorbic acid, is also expected to grow. Demand for vitamins in China is expected to grow in shampoos, sun protection and facial moisturizer formulations. Although facial skin care products such as moisturizers, masks, anti-agers and cleansers are still the most likely categories to carry antipollution ingredients, hair and sun care products are gaining momentum, especially in China and India. Facial masks, a key beauty product for most Chinese women, are expected to drive the growth in demand for plant extracts in Asia Pacific over the 2015–2020 forecast period, while other products, such as facial moisturizers, shampoos and facial cleansers, will also show opportunities for plant extracts. In India, shampoos and facial moisturizers are expected to lead the growth in demand for plant extracts, while demand for vitamins is expected to grow in sun protection and shampoos in the next five years. Pakistan shows the greatest growth potential for vitamins in shampoo formulations in the 2015–2020 forecast period, while demand for plant extracts is expected to increase in moisturizer formulations in the same period. Opportunities for new antipollution products differ between East and West. In the most polluted Eastern countries, such as China, demand for specific, single-purpose antipollution products, such as face masks containing plant extracts, is expected. In Western countries, consumers often use fewer beauty products, so demand for multifunctional products with antipollution claims will be on the rise. Although there is an increasing number of antipollution ingredients reaching the market, the key for success is to adopt an effective differentiation strategy from other cosmetics products that also contain antioxidants in their formulations. Chinese brands such as Hua Niang or Fumakilla market their products with more specific antipollution claims, such as anti-PM2.5, to attract consumer attention. This clever strategy has inspired international companies such as Pond’s, which has jumped on the PM2.5 bandwagon, to carry this claim on the labels of its Pure White cleansing line. Not all products claiming to fight the effects of pollution are equally effective, and the increasing number of educated and concerned consumers will demand scientific proof to back up antipollution claims. More research to understand the effects of pollution on skin over time, as well as the development of standardized tests similar to those in place for the SPF values, are required to validate and quantify the product efficacy. This will allow consumers to have a better understanding about which products offer the best environmental protection. The high levels of air pollution in Asia inevitably led to the launch of antipollution cosmetics specially designed for the market. Antipollution claims initially carried by facial skin products such as Lancôme City Miracle, REN Flash Defence Anti-Pollution Mist and Olay Total Effects are now increasingly advertised in skin cleansers, sun protection, hair care products and color cosmetics. Sun protection products such as Clarins UV Plus Anti-Pollution SPF 50, Shisheido UV Urban Environment Protection SPF 40 and Vichy UV Pro Secure Anti UV Anti-Pollutant SPF 50 PA are now addressing both pollution and UV protection. Besides sun protection, brands are now marketing cleansing products that claim to be able to remove pollutants from the skin, such as Tata Harper’s purifying cleanser or Ponds’ men’s pollution-out all-in-one deep cleanser. Other antipollution products gaining traction in the market are standard shampoos and colour cosmetics. Henkel just launched in February 2016 its Schwarzkopf Extra Care Purify and Protect, a hair care range of products specially designed for Asia, while Bourjois launched its City Radiance foundation back in January. In order to take advantage of the new antipollution wave, cosmetics companies such as Sampar with its Smart Skin in the City line, Estée Lauder's with its Clinique City Block line or Unilever with its Pond's Pure White Cleansing line are now launching entire product lines completely dedicated to combatting air pollution, driven by increasing consumer demand. More recent launches touting anti-pollution claims include L’Occitane Shea Comforting Foaming Cleanser, Sunday Riley C.E.O. C + E Antioxidant Protect + Repair Moisturizer, Murad City Skin Overnight Detox Moisturizer, Drybar Double Standard Cleansing + Conditioning Foam, Clarins Multi Active Day Cream, Ren Pollution Proof Kit and Nars Smooth & Protect Primer Broad Spectrum SPF 50 Sunscreen. Olay has reformulated its Total Effect with a greater proportion of vitamin E and niacinamide. 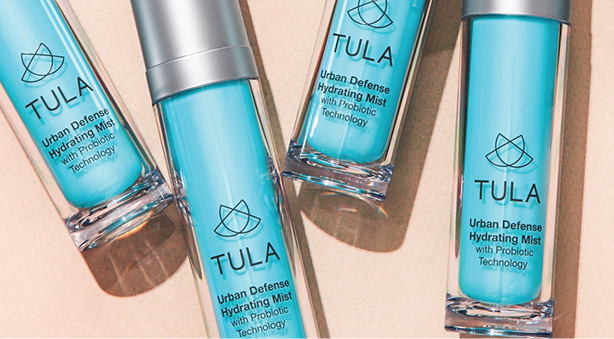 Tula combines antioxidant and probiotic ingredients in its Urban Defence Hydrating Mist. Leading global cosmetics companies are turning to a full spectrum of antipollution ingredients. Plant extracts, vitamins and antioxidant complexes are among the most popular antipollution ingredients on the market, driven by the growing demand for natural ingredients in cosmetics. Skin care products can be simply reformulated by adding plant extracts and vitamins to make antipollution claims. 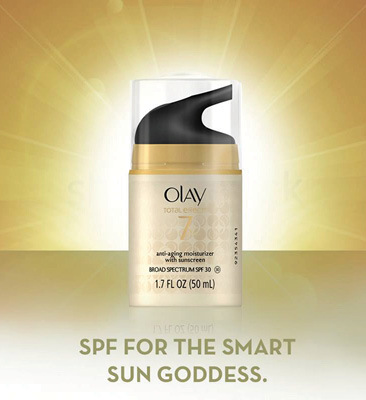 For instance, Olay has reformulated its Total Effect with a greater proportion of vitamin E and niacinamide. It is also expanding its Active Botanicals line, which contains two natural antipollution ingredients—artichoke extract and snow fungus—from China to Western markets. Other brands are betting on less traditional ingredients to provide pollution protection. Tula combines antioxidant and probiotic ingredients in its Urban Defence Hydrating Mist, while Lancôme City Miracle and Avon Clinical E-Defence Deep Recovery contain two specific antipollution ingredients—Detoxyl, Silab’s detoxifying and metal chelator agent, which prevents metallic pollutants from sticking to the skin, and thymosin -4, a protein that helps to attract healthy cells to areas that have been damaged by pollution. Ingredient manufacturers are increasingly looking for novel ingredients to meet the growing consumer demand for antipollution products. In 2016, Silab launched Mitokynil, which is rich in glucomannans, while Sederma commercialized Citystem, comprising natural active ingredients, and Algues et Mer introduced Invincity, which contains brown algae and fucoidans. Other ingredient suppliers are focused on antipollution solutions that create a physical barrier between the skin and pollutants. For example, Tri-K recently launched PhytoVTM, and Solabia is now marketing Pollustop. A more recent innovation is the use of ingredients with advanced antipollution properties, such as Pollushield, supplied by Lipotec, which combines a polymer with metal-chelating properties that prevent the interaction of toxic metals with the skin. EPS White, developed by CoDIF, is a probiotic-derived ingredient that reduces pollution-induced inflammation. Meanwhile, Aquatide-TripleShield, provided by Incospharm, has strong autophagy-inducing activity to help detoxify skin cells. Although some of these ingredients seem to be very promising, further clinical research is necessary to better understand their effects against pollution. So far, there is no perfect solution or miraculous single ingredient able to provide full protection against pollution. A combination of a variety of botanical extracts, vitamins and ingredients that creates a physical barrier is likely to be the preferred option by consumers.